Buy Cheap Forza Horizon 4 Credits For Xbox One/PC On MMOGO.COM. 1. We\'ll Trade FH4 Credits to buyer through Auction house, you need to put up Cars for Auction first. 2. We request buyer to put Legendary car, To reach your purchase amount,you Can Put Several Legendary Cars for Auction. 3. 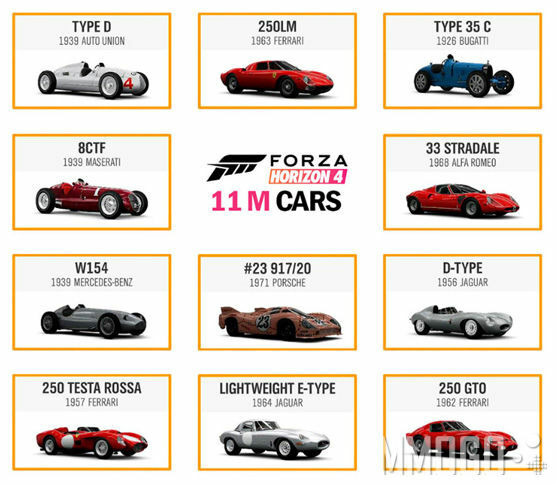 If you Dont have a Legendary Car to put, then please put a common car for its Max buyout price, then we will buy. You can use the Credits to buy a Legendary Car then. 4. Please set the Duration as 24 hours, and the 15% Auction Fees Are Of Your Charge. 5. If any question, we will send email to let you know, you are free to keep touch with us by email [email protected] or Live Chat support! Forza Horizon 4 is an Open World Racing Video game which supports players to play on Xbox one and Microsoft Windows. FH4 features over 450 licensed cars including a route creator which enables players to create their own races. To buy more properties, FH4 players have to have a large amount of Forza Horizon 4 Credits as well. Then Online Store MMOGO is the reliable place to buy FH4 Credits. Players can buy cheap FH4 Credits for Xbox one and PC through website mmogo.com. People will obtain the good online shopping experience and nice customer service. In addition, welcome FH4 Players Join MMOGO to share your Gameplay and every excited moment.